Welcome to Mrs. Suffolk's Math Class!! Here you will find the weekly agenda and the homework for the week!!! Thank you to all the parent volunteers at Pi Day and for all of the donations!!! If you don’t have a Prodigy account: select New Student, enter the Class Code for your Period, enter First Name and Last Initial, create a password (write it down in your notebook), click grade 8, design & name your Avatar. FREE After School Math Tutoring! Geometry is a rigorous, high-school level course, and students will be expected to think and behave with such a level of maturity. Taken at the middle school, Geometry is an accelerated level class. Students were placed into this class based on test scores, previous grades, and teacher recommendation. It is the student’s responsibility to hand in all assignments on time, so as to not get behind in this fast-paced environment. 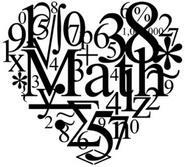 Math 8 CC is a course that covers all of the 8th grade Common Core standards. This course will prepare your student for Common Core Algebra 1 at the high school next year. Our goal is to make sure your child has a successful year. We can accomplish this goal by having the parent, student, and teacher work together. As always, if you have any questions or concerns about the class your child is in or your child's progress in the class, please feel free to email or call. I want to make sure that this year's mathematics experiences are enjoyable and promote a firm understanding of mathematics. If you would like to make supply donations please take a look at the list on the left. It is greatly appreciated.